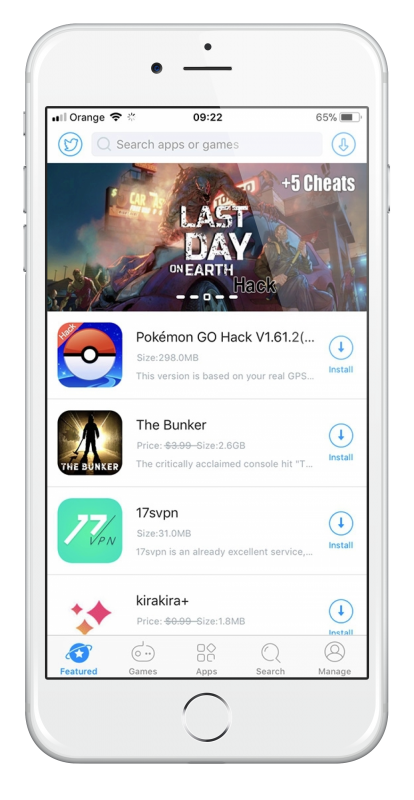 Panda Helper is one of the latest Cydia alternatives to be released, full of features and free to download and use. You can download Panda Helper using the download button below. How Do I Fix the Untrusted Developer Error? When you try PandaHelper again, the error won’t be there. Will Panda Helper Void My Warranty? No. Panda Helper runs like any normal app and doesn’t need root iOS access. That means it doesn’t break the security that Apple surrounds the iOS in. You may find that one or two of the Cydia tweaks included in the app change the functionality of your device but should you need to go to an Apple store with your device, just delete that tweak before you go. Panda Helper won’t Download or Verify? What Do I Do? This is down to the app certificate being revoked. The developers use enterprise apps that are expired, and Apple will revoke these regularly. While the developers do update the certificates as often as they can, on occasion, you might find that the app won’t download because they are updating at the time. Delete Panda Helper and wait, give it a couple of hours and then try the app again. If you Like this page on Facebook and click on Following>See First, you will get notified of all updates. This can also happen if you try to install a ++ app without removing the stock app first. If, for example, you want to use SnapChat++, you must delete SnapChat first. I See a “Can’t Connect to Panda Helper Site” Message – What Do I Do? This usually happens when the app crashes, generally because the certificate got revoked. Give it an hour or so and then try again; the certificate will likely have been updated, and it will all work. Can I Request an App? By all means, use the developers Twitter feed to request a specific game or app but don’t be surprised if it doesn’t get uploaded. They get thousands of requests and can’t possibly honor them all or even get all apps and games. Have Patience – if loads of people are trying to download it simultaneously, it may block the servers so wait, and try again in a while. On occasion, not matter what you do, the app won’t download and, if it does, it won’t work. First, make sure you have the right version of the app and that it is up to date. Next, Panda Helper comes in two versions – free and paid. If you are trying to install the paid version and you don’t have a paid account, it isn’t going to work. Also, try clearing your cache and resetting all network settings. The free Panda Helper app download takes you to the Profiles screen, and some users have reported that there aren’t any profiles to trust and they can download it. To get around this, install Panda Helper VIP and then installing the free version. On occasion, you may come across an app or game that won’t work. First, go into Panda Helper and see if there are any updates for that app – of there are, install them because the app you are trying may be out of date. Next, make sure that you have the latest version of Panda Helper. The developers work hard to keep the app updated, and that’s why they release regular updates. If you don’t install them, things won’t work correctly. If your version is out of date, delete it and then reinstall it. Panda Helper is a great app installer, truly versatile and completely free. Give it a try and see how you get on with it. For more updates, you can follow us on Facebook.